Say hello to clean*, plant-based nutrition with Vega. Made from plant-based food ingredients, Vega’s premium range is designed to support your active lifestyle. 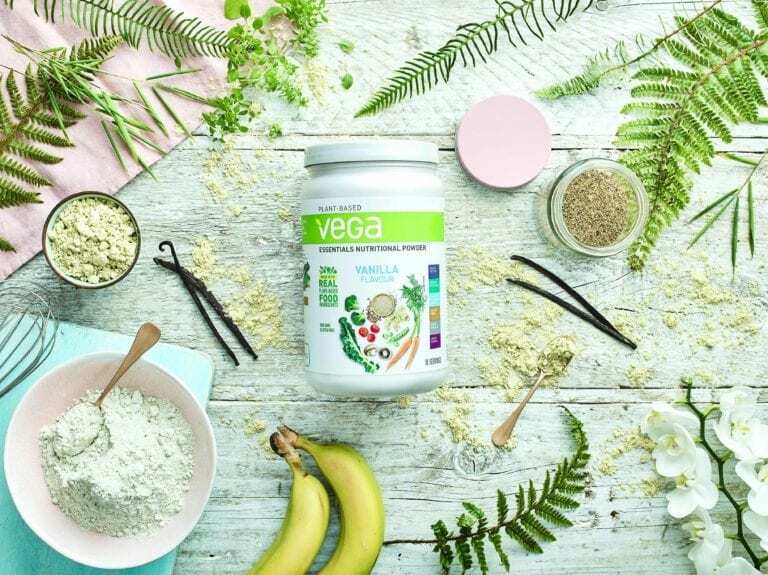 Vega Essentials is a nutritional powder made from a blend of pea, flaxseed and hemp, and with ingredients made from leafy greens and vegetables, Vega Essentials gives you the nutritional building blocks to start your day strong. High in protein, fibre, vitamins and certain minerals and omega-3 – as well as low in sugars – try teaming a scoop of Vanilla with coconut drink and strawberries for a tasty breakfast smoothie, or a serving of Chocolate for a delectable raw fudgy brownie recipe.